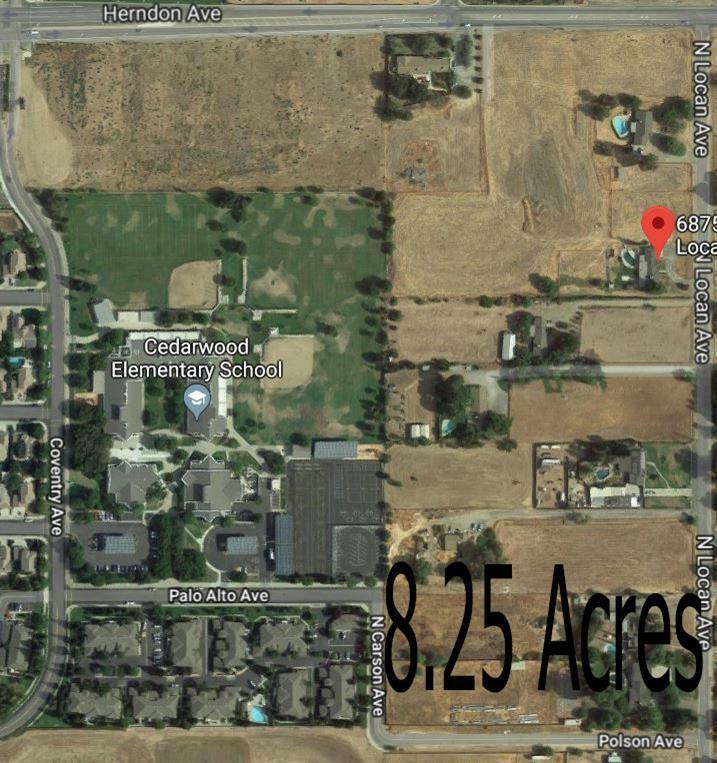 Great Location for redevelopment near Clovis Community Hospital! 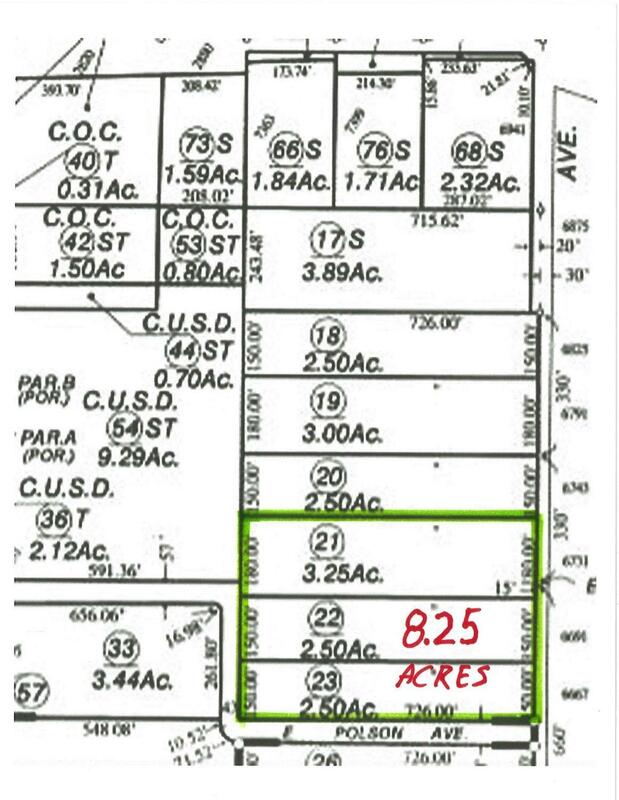 Three lots totaling 8.25 acres being sold together to the eastside of Cedarwood Elementary School for total purchase price of $2,150,000. 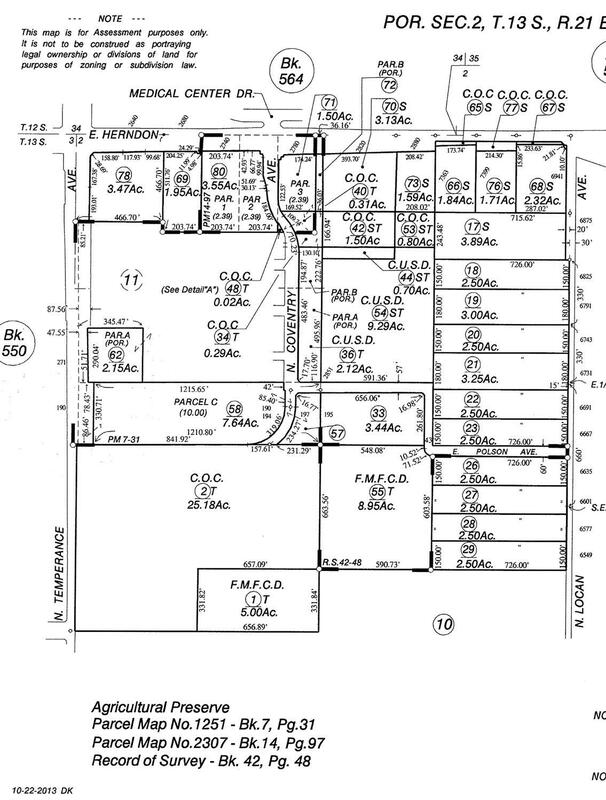 Includes parcels 553-020-21, 553-020-22 and 553-020-23. If you are an agent representing a buyer the buyer will be responsible for paying your commission. All properties being sold in AS Is condition.